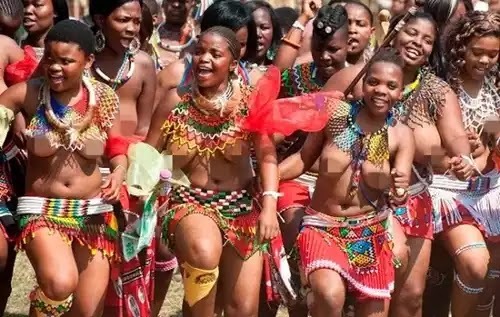 Thousands of maidens have undergone virginity testing in their districts throughout the province and now they are ready to affirm their purity before Zulu King Goodwill Zwelithini this week. Every spring‚ maidens arrive at the king’s Enyokeni Palace in Nongoma. And this year’s Reed Dance (Umkhosi Womhlanga)‚ facilitated by the KZN department of arts and culture and the Zulu royal household‚ takes place from September 8 to 10. Virginity testing (ukuhlolwa kwezintombi ) is an ancient Zulu tradition that is regarded as an important rite of passage to womanhood. It’s a custom Zulus have in common with Swazis‚ a nation that historians describe as their closest tribal cousins. In both nations‚ only virgins are supposedly allowed to take part in the Reed Dance to ensure that it remains ritually pure. Before embarking on the annual trek to Nongoma‚ the maidens have to be tested by elderly women days before the pilgrimage to Enyokeni or to the Swazi Queen Mother’s Eludzidzini residence. Those who pass the test take pride in their status and are lauded by their community as izintombi nto‚ pure maidens. The idea is that by remaining pure‚ the maidens are safe from unwanted pregnancies and sexually transmitted diseases. Tests can be conducted randomly at night or very early in the morning before they present reeds to the monarchs. This ancient Zulu practice was largely neglected by previous Zulu kings until it was revived by King Zwelithini in 1984. Non-school going maidens will present their reeds to the king on Friday‚ September 9, while learners will present theirs on Saturday, followed by an address by King Zwelithini. The eNyokeni festival follows another Umkhosi Womhlanga held in Ingwavuma at the king’s Emachobeni Royal Palace the weekend before. However‚ the Reed Dance has put the king on a collision course with human rights bodies and feminists‚ who have accused him of reviving a practice they regard as a violation of women’s rights. Concerns have also been raised about whether the women are willing participants in virginity testing. But King Zwelithini has resisted all attempts to outlaw virginity testing‚ arguing that the practice promotes respect for women and virginity before marriage.